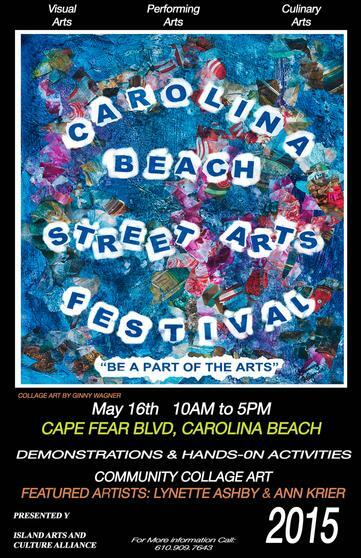 Its time for the Carolina Beach Arts Festival – and I’ve been working really hard and looking forward to this festival. Lynnette Ashby and myself will be the ‘featured artists’. Joining several others near Artful Living in Carolina Beach, NC we will each be working on a 24 x 48 panel in our own style as well as overseeing a community ‘sampler’ project of the same size. I can not wait to see all the arty goodness as well as take in the beach. Many thanks to Josie for the beautiful article linked above and the board of ICAC for letting me participate.